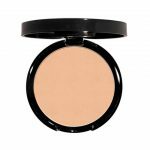 A silky textured finishing powder that brightens and evens skin tone and texture, while diffusing fine lines and the appearance of imperfections by reflecting light. Puff included. Paraben Free. Multi-functional face primer that improves skin texture for smoother application and long lasting wear of our bestselling BB and foundations. -Prevents accentuation of fine lines and pores. -Non oily, for all skin types. -Liposomes, stimulates cell regeneration for youthful looking skin. 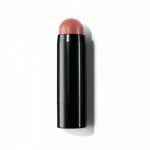 Blush, bronze, highlight and tint lips with these portable and easy to apply color sticks. 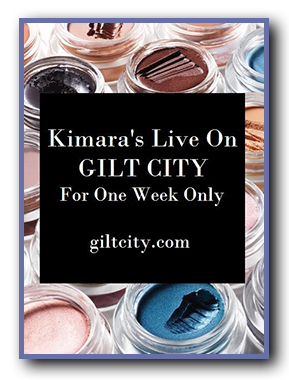 Color blends seamlessly onto skin and gives an instant healthy glow to the complexion. Soybean oil helps to nourish and condition skin. Gluten free, fragrance free, hypoallergenic. An ultra-creamy powder that delivers high volume glow and luminosity. Perfect Highlighter for instant pop to cheekbone, brow bone and bridge of nose. Appropriate for all skin tones. Paraben-free. Get the Luminous effect with these ultra shimmering pressed highlighters to accentuate areas of the face you want a radiant glow that says, WOW! Use powders separately or blended together with our Face & Contour Brushes. Sunlit Luminosity is the simplest way to achieve the perfect amount of a sunglow. This lightweight formula blends seamlessly into the skin when used alone as a primer, or blended with a drop of our BB Cream for a natural, dewy finish. Wear alone all over as a sheer bronze tint or mix a drop with our BB Cream for natural sun-kissed skin. Can be mixed with moisturizer and applied to shoulders, arms, chest and legs for radiant smooth looking skin. 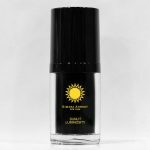 This innovative product provides the sunscreen and antioxidant protection that ultra-sensitive skin needs. Micro-diffusers keep skin looking flawless. Oil-free formula is great for all skin types, particularly skin with large pores and an oily T-zone. SPF 15. Hypoallergenic. This ultra-sheer moisture infused foundation contains light diffusing pigments to help conceal fine lines and imperfections. It’s water resistant and the SPF 20 guards the skin against the sun’s harmful rays. Glow(shade) gives any skin type a natural sun-kissed glow. 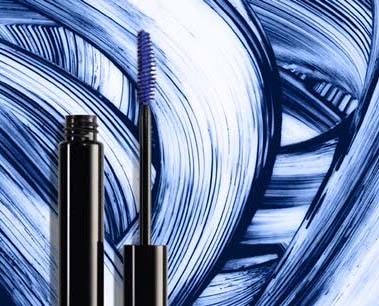 A hypoallergenic, oil-free concealer that contains photo-reflective pigments to conceal dark circles and flaws without caking. 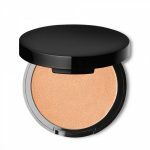 The shade Peach Glow used as a highlighter, is applied to top of cheekbones or wherever skin needs a luminous finish. 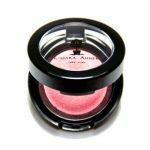 A smooth highly pigmented baked blush that adds instant radiance and blendable color to cheeks.